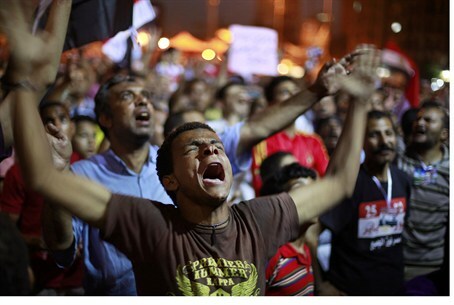 MainAll NewsMiddle EastEgypt: Electoral Results on Weekend? Egypt: Electoral Results on Weekend? Egypt's electoral commission won't announce the results of the country's presidential run-off till at least the weekend, and maybe later. Egypt's electoral commission won't release the results of the country's presidential run-off till at least the weekend, "Saturday or Sunday," and possibly even later, an official announced late Wednesday. The commission said the announcement was postponed due to an investigation into complaints over voting fraud, local media reported. Some 400 complaints were submitted by the campaigns of both candidates in the race. Lawyers for the once-outlawed Muslim Brotherhood organization's candidate Mohamed Mursi, and former Prime Minister Ahmed Shafiq, both claimed fraud in 14 of the country's 27 provinces. Shafiq's lawyers said ballots were sent to polls already marked for Mursi; Mursi's lawyers accused Shafiq of forging lists of registered voters and of buying votes. Regardless of who wins the election, the Supreme Military Council managed last week to dissolve the Islamist-run parliament through an order by the Egyptian High Court of Justice – thus leaving much of the government still in the hands of the country's military. Until a new constitution is written, Egypt will apparently be ruled by its military, and a president whose powers are to be greatly curtailed. The process of writing the new constitution, which the military has mandated to be completed within the next three months, will also be closely monitored by Egypt's generals. In this manner, even as ousted President Hosni Mubarak lies comatose in a military hospital awaiting death, those who served him in life appear determined to carry on his legacy in the next Egyptian government.